All our Commemorative items in the one place. All our 1st Queen's Dragoons items in the one place. All our Adjutant General Corps items in the one place. All our Army Air Corps items in the one place. All our Army Medical Corps items in the one place. All our Army Physical Training Corps items in the one place. All our British Army items in the one place. All our Blue, Red and White Ensign items in the one place. 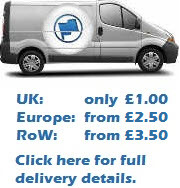 All our Fleet Protection items in the one place. All our Household Division items in the one place. All our Infantry Corps items in the one place. All our Intelligence Corps items in the one place. All our Logistic Regiment items in the one place. All our Lord High Admiral items in the one place. All our Mercian Regiment items in the one place. All our Parachute Regiment items in the one place. All our RAF items in the one place. All our Royal Armoured Corps items in the one place. All our Royal Army Chaplains items in the one place. All our Royal Artillery Regiment items in the one place. All our REME items in the one place. All our Royal Engineers Corps items in the one place. All our Gurkhas items in the one place. All our Royal Irish Regiment items in the one place. All our Royal Logistic Corps items in the one place. All our Royal Marines items in the one place. All our Royal Medical Corps items in the one place. All our Royal Scots Dragoons items in the one place. All our Royal Signals Corps items in the one place. All our Royal Tank Regiment items in the one place. All our Royal Welsh Fusiliers items in the one place. All our Special Air Service items in the one place. All our Rifles items in the one place.